BAILEY - Steve Lamm, 49, died Monday, April 1, 2019. Funeral, Wednesday, 2:00 PM, at the Bailey Cemetery. The family will be at home, 5285 Stoney Hill Church Rd, Bailey, Tuesday, 7:00 - 9:00 PM. Steve loved his children and his family. 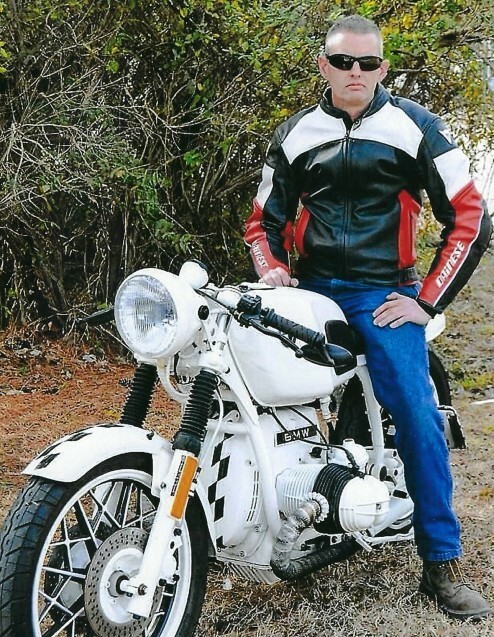 He was an avid motorcyclist and owned and operated his own motorcycle repair shop, Red Knee. Steve loved doing and making things with his hands, collecting electronics and enjoyed cooking on the grill. He had also worked with DMV Enforcement. He is survived by his sons, Johnathan Lamm (girlfriend, Kayli) and Sylar Lamm; parents, Russell and Barbara Stallings Lamm, all of Bailey; sisters, Stacie Murray (Adam) of Middlesex and Stephanie Finch (David) of Bailey; several nieces and a nephew. In lieu of flowers, memorials are suggested to the Steve Lamm Memorial Fund, 5285 Stoney Hill Church Rd, Bailey, NC 27807.